Poland was the first country to firmly resist the brutal expansion of the totalitarian powers that were utterly indifferent to the rights of weaker countries. Poland’s armed resistance to German aggression on September 1, 1939, was a turning point in world politics towards the Third Reich. Contrary to the hopes of Adolf Hitler, on the third day after the commencement of military operations the German attack on Poland transformed into a world war. On September 3, the United Kingdom and France fulfilled their commitments to Poland by declaring war on Germany, although for eight months they waged a strange war (the Phoney War) after passively observing the struggle and military defeat of the Republic of Poland. Two weeks later – in accordance with the provisions of the Hitler-Stalin Pact (August 23, 1939) – the Soviet Union attacked Poland. The six-year war gradually spilled onto successive continents and eventually spread to most of the world. The fortunes of the Allied and Axis forces changed many times. The most difficult period for the anti-Hitler coalition was between the summers of 1940 and 1941. The most spectacular shifts of the front were experienced by the USSR, which was forced into the Allied camp by the Germans themselves. The Japanese attack on the United States of America sealed the fate of the Axis Powers. From the first to the last day of war, Poland fought in accordance with the old motto of Tadeusz Kosciuszko, Kazimierz Pułaski and its nineteenth-century insurgents: “for our freedom and yours” (o wolność naszą i waszą). During the September Campaign in 1939, the Polish Army fought alone against the aggressors from the west, south and east. In the face of the overwhelming advantage of the Wehrmacht and the Red Army, a defeat in the first stage of the war was inevitable. The last large Polish units surrendered in the Lublin region at the beginning of October 1939. However, it is not an empty slogan to say that the Polish Army never laid down their arms. The officers and sailors of three Polish destroyers (ORP Błyskawica, ORP Grom and ORP Burza), two submarines (ORP Orzeł and ORP Wilk) and military transporters and mobilized civilian ships, fought ceaselessly. Later they were joined by refugees from Poland – Polish soldiers temporarily interned in Romania and Hungary – who after many adventures were sent to France and Syria (a French mandate). Starting in November 1939, seven large land units and eight aviation squadrons were formed out of the Polish soldiers in France and mobilized Polish migrant workers. In the defense of France (in the second phase of the campaign, after the Germans broke through the front on the Somme and Aisne – including under Lagarde and Clos du Doubs) and Norway (near Narvik), approximately fifty thousand Polish soldiers took part in the fighting. In the second half of June 1940, around twenty-five thousand Polish soldiers were evacuated from France to the British Isles. After a time, they would serve as the basis for the formation of the 1st Polish Corps, commanded successively by Generals Marian Kukiel, Józef Zając and Mieczysław Boruta-Spiechowicz. Formed in Syria, the Independent Brigade of Carpathian Riflemen went to Palestine in order to save itself from internment, and was moved again to Egypt several months later. In the spring of 1941, it was stationed at Mersa Matruh, and from August – together with British units and a Czechoslovak battalion – defended Tobruk against the Italians and German siege for nearly four months. The Polish Air Force in Great Britain was famous for taking part in the Battle for Britain. The No. 303 Polish Fighter Squadron was the most effective unit participating in the fighting. A total of 145 Polish pilots serving in four Polish squadrons of the Royal Air Force (five percent of all RAF pilots) shot down approximately 170 German aircraft and damaged 36, representing about twelve percent of Luftwaffe losses. In addition, Polish pilots in three-hundred combat aircraft took part in the bombing of Germany and German military facilities in occupied countries, fought in North Africa, Italy and even the Far East and supported the Allied invasion of Western Europe. During the war almost two thousand Polish airmen died or went missing in action. The Polish Air Forces in Great Britain were commanded by Generals Władysław Kalkus, Stanisław Ujejski and Mateusz Iżycki. By the end of the war almost fifteen thousand people served in the Polish Air Forces (pilots, crews, ground and technical staff). During the course of the war (apart from the aforementioned ships evacuated from the Baltic Sea and militarized civilian ships in the Polish navy), ships provided by the British also took part, including: ten fast attack craft, six destroyers, three submarines and two cruisers. Polish-crewed ships took part in 1162 patrols and combat operations (fighting against surface ships, submarines, coastal artillery and airplanes) and escorted 787 convoys operating on the Atlantic and Arctic Oceans and adjacent seas. During the war about 660 Polish sailors perished, and the navy lost one cruiser, four destroyers, one minesweeper, two submarines, six trawlers, two gunboats, six auxiliary vessels and eighteen mobilized merchant ships. For this entire period the navy was led by Vice Admiral Jerzy Świrski. By the end of the war, almost four thousand sailors served in the Polish Navy. © Paweł Supernak (PAP). markowa, Poland, FeBruary 2, 2018. 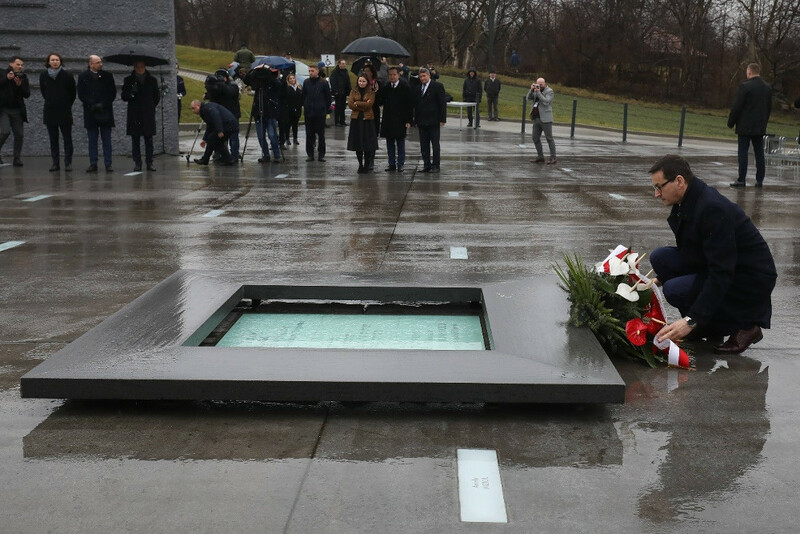 Prime minister mateusz morawiecki durinG a visit to the ulma Family museum oF Poles savinG Jews in world war ii in markowa. After the German attack on the USSR and the signing of special Polish-Soviet agreements, it became possible to organize a Polish army composed of political prisoners who had been arrested earlier in the Soviet occupation zone in eastern Poland and detained in the USSR. The commander of the Polish Armed Forces in the USSR, also released from the Gulag, was General Władysław Anders. Ultimately, six infantry divisions were formed. In two stages in April and August 1942, the army was evacuated to Iran (over 115,000 people went there by November, including around 78,500 soldiers and 37,000 civilians – among whom there were almost 18,000 children) and from September 1942, together with the Polish Army in the Middle East, formed the Polish Army in the East (APW). In July 1943, the 2nd Polish Corps of over 50,000 soldiers was formed out of it. In August and September it was moved to Palestine and Egypt (where Corporal Menachem Begin, future prime minister of Israel, was allowed release from service). In 1943 the Polish Army was thrown onto the Italian front with the Independent Commando Company making it there in the autumn, having made it through North Africa. At the turn of 1943 and 1944, the 2nd Corps was transported to Italy, becoming part of the 8th British Army. Poles on the Italian front in 1944 played an active role in: defense operations along the Sangro River, a breakthrough of the Gustav Line during the offensive on Rome (taking the fortifications on Monte Cassino and Piedimonte in May), pursuit activities along the Adriatic coast to Ancona, a breakthrough of the Gothic Line; and in 1945, the attack on Bologna. Polish troops also took part in opening the second front in Europe on June 6, 1944. In Operation Overlord, the largest air-sea invasion in history, units of the Polish Navy (five ships and eight militarized merchant ships) and the Polish Air Force (eight fighter squadrons and three bomber squadrons) took part. At the turn of July and August, the 1st Armored Division (16,000 soldiers, 380 tanks and 4,000 motor vehicles) were transported to France, commanded by Brigadier General Stanisław Maczek. Battles over nearly nine months led this unit through France, Belgium, Holland and Germany, including: a battle in the Falaise-Chambois and Ormel hills, the operational pursuit of the 7th German Army, the crossing of the Seine and Somme, the liberation of Abbeville, Ypres, Ghent , Lokeren, St.-Nicolas, Stekene, St.-Gilles, Baarle-Nassau and Bredy. Furthermore they attacked Moerdijk with the task of taking control of the two longest bridges in Europe and seizing a bridgehead on the other side of the Meuse (this task could not be carried out because the retreating Germans blew up the bridges) and a few months later, chasing the enemy on the territory of the Reich, crowned by the occupation of Wilhelmshaven, the base of the German Navy. On September 18, 1944, the 1st Independent Parachute Brigade (as part of the 1st British Airborne Division) commanded by Brigadier General Stanisław Sosabowski, was sent to fight for bridges on the Rhine in the Netherlands and open the way to the Ruhr Basin; though its soldiers had been training for almost three years for an entirely different mission to support a national uprising in Poland. Until September 26, about 1,600 Polish paratroopers fought in Operation Market Garden, including heavy fighting in the Arnhem-Driel area to hold bridges and cover the retreat of bloodied British units. In October the brigade was withdrawn to England and only in May 1945 was it sent for occupation duty in Germany. During these battles the Polish 2nd Corps lost about seventeen thousand soldiers and officers (about thirty-six percent of its personnel), including 2,301 killed; the 1st Armored Division lost about five thousand soldiers (about thirty-one percent of its personnel), including 1,053 killed; the 1st Parachute Brigade lost a total of about 400 soldiers (about twenty-three percent of personnel), including forty-seven killed. The total casualties of the Polish Armed Forces in the West amounted to about forty-three thousand soldiers, including 7,608 killed in action or later from wounds sustained in battle. In May 1945, the Polish Armed Forces totalled about two-hundred thousand soldiers, but none of them was invited to take part in the London Victory Celebrations on June 8, 1946. During World War II, Poles not only fought in foreign lands but also within their occupied country. The Home Army (AK) was an integral part of the Polish Armed Forces and were subordinate to the supreme commander. The first armed underground organizations were established in Poland before the end of September 1939. 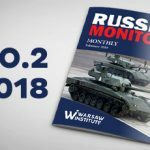 The Service for Poland’s Victory (SZP) was established in Warsaw on September 27. The order to organize the Union of Armed Struggle (ZWZ) – based on the structures of the SZP – was issued in Paris on November 13 by the supreme commander. At the end of June 1940 (after the defeat of France), the leadership of the ZWZ was transferred to Poland. In order to elevate the military union to a national armed force, in which all soldiers in active military service serve, the ZWZ was renamed as the Home Army (without any organizational changes) on February 14, 1942 in London. Included in this action of merging smaller groups into the Armed Forces in the Country, were the Socialist People’s Guard (1940), the National Military Organization (1942), the Peasant Battalions and the National Confederation (1943) and the National Armed Forces (1944). The main task of the ZWZ-AK was to conduct armed resistance against the German occupiers (intelligence, sabotage and subversion) and to prepare a nation-wide uprising, which was to break out at the moment of the collapse of German defenses. In the face of doubly negative conditions (steadily increasing, stiff resistance from the Wehrmacht and the lack of political agreement between the Republic of Poland and the USSR), the AK leadership decided to conduct Operation Tempest. Regional AK units engaged in open warfare from January to November 1944, as the German-Soviet front approached. The earliest battles took place in Volhynia, then in Podolia, Vilnius, Białystok, Polesie, Lviv, the Lublin region, Kraków, in and around Warsaw, in Radom, Kielce and Łódź. All AK operations that led to revealing themselves to the Red Army ended with the arrest of Polish officers and the forced enlistment of soldiers into the Soviet-controlled People’s Army of Poland. The Warsaw Uprising of 1944 ended after two months of heroic fighting. The insurgents did not receive any effective help from the Soviets. Though it was justifiable militarily, great power politics prevented it – Stalin was doing everything to prevent the reconstruction of a sovereign and democratic Poland. Facing the Red Army’s occupation of the entire territory of pre-war Poland, the last commander of the AK Brigadier General Leopold Okulicki issued an order in Częstochowa on January 19, 1945 to disband the organization. In the spring of 1944, the Home Army numbered over 350,000 sworn soldiers. In March 1945, fifteen leaders of the Polish Underground State, lured by the promise of peace negotiations, were treacherously arrested by the NKVD. They were immediately transported by plane to Moscow and after several weeks of investigation, they were tried in June. On-call Soviet judges, who had convicted the “old” Bolsheviks in Stalinist show trials in the 1930s, gladly deprived the undisputed leaders of the Polish nation of their freedom. 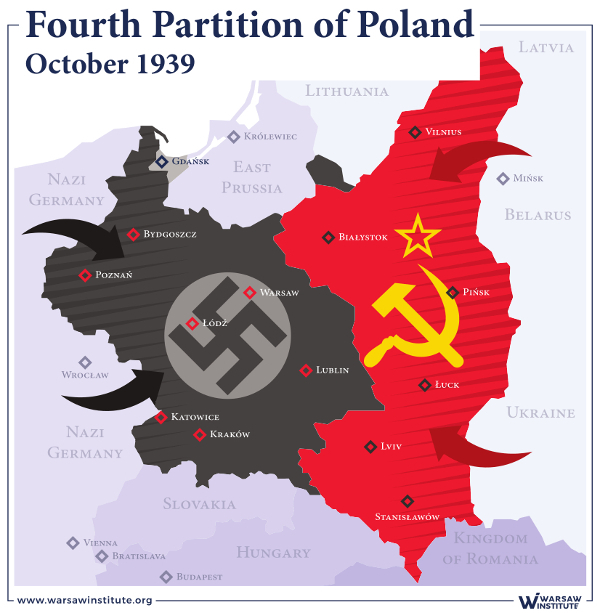 This took place during the negotiations on the establishment of the Soviet-sponsored Polish Provisional Government of National Unity, under the patronage of: the Minister of Foreign Affairs of the USSR Vyacheslav Molotov, the British Ambassador to Russia Sir Archibald Clark Kerr, and the U.S. Ambassador to Russia Averell Harriman. A separate chapter in the history of the Polish armed forces was written by units formed by the order of Joseph Stalin starting in May 1943. The Polish 1st Tadeusz Kościuszko Infantry Division was created as the initial unit of the Polish People’s Army on August 10, 1943. It was expanded into the 1st Polish Corps on March 16, 1944, then transformed and later renamed on July 29, 1944 into the 1st Polish Army. On August 8, 1944, the 2nd Polish Army was also created. All of these units were military and politically subordinate to the USSR and in direct opposition to the plans of the Polish government-in-exile. The commanding officers had either served in the Polish Army and then recruited by the NKVD while in Soviet captivity in 1939-1941, or were specially delegated Red Army officers and graduates of separate courses and officers’ schools. The commander of the 1st Division and the 1st Army was Brigadier General Zygmunt Berling (Stalin granted him the rank of general). The soldier’s ranks were filled by exiles who failed to join the Polish Army that had been evacuated to Iran a year earlier or Poles living on Polish territory gradually occupied by the Red Army starting in the second half of 1944. Polish troops on the Eastern Front fought against German armies in Ukraine, Belarus, and the territories of Poland, Germany and Czechoslovakia. By the end of military operations, the total casualties of the Polish Army fighting alongside the Red Army amounted to over sixty-seven thousand, including approximately seventeen thousand killed; Stalin treated Berling’s soldiers as cannon fodder. In May 1945, the Polish People’s Army amounted to about 370,000 soldiers. The “Polish authorities” installed by the Soviets west of the German-Soviet “friendship border” of 1939, could carry out conscriptions there, although they were boycotted in anticipation of the return of the legitimate government from London. The Polish government, unlike most of the governments of countries invaded by Germany, never surrendered to the aggressors or disgraced themselves through collaboration with the occupation authorities. After the attack of the USSR, on September 17, 1939, the president of Poland, the supreme commander of the Polish Army and the Polish government, left the country. The Polish authorities intended to get to France through Romania and there, with the help of Western allies, coordinate the further struggle for the liberation of the homeland. However, the hopes of President Ignacy Mościcki, Marshal Edward Śmigły-Rydz and Prime Minister Felicjan Sławoj Składkowski, went up in smoke. 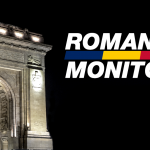 The Romanian authorities, under pressure from Berlin, Moscow and Paris, demanded that the Polish authorities waive their sovereign state prerogatives (Germans and the Soviets – because they were intent on annihilating the Polish state, and the French – because they did not want to cooperate with people disgraced by military disaster, but to whom they had treaty obligations). When the Poles did not meet these demands, they were forcibly interned. This regrettable fact, however, was not the end of Polish legal statehood. According to Article 24 of the Constitution of the Republic of Poland (the so-called April Constitution of 1935) in wartime, the president of Poland was authorized to appoint his successor. After some turmoil (the original candidate, Major Bolesław Wieniawa-Długoszowski, the Polish ambassador in Italy, was rejected due to the intrigues of the pre-war political opposition and the repeat pressure of the French government), Władysław Raczkiewicz became president at the end of September. A few days later, the new president appointed General Władysław Sikorski as Prime Minister, and he formed a coalition cabinet, and was also appointed Commander-in-Chief soon after. Until December 1939, Polish authorities operated in Paris, and later in Angers, where they held extraterritoriality status. After the fall of France, the president, supreme commander and government moved to London and there they exercised legal power, until the disgraceful withdrawal of recognition by the United Kingdom and the United States on July 6, 1945. After the catastrophic plane crash at Gibraltar in July 1943, in which General Sikorski was killed, Stanisław Mikołajczyk became Prime Minister, and General Kazimierz Sosnkowski the Commander-in-Chief. Due to the criticism of the allies’ passivity in the face of the Warsaw Uprising, General Sosnkowski was replaced in September 1944 by General Tadeusz Bór-Komorowski (who was in German captivity from October 5, 1944 to May 5, 1945, and his duties for much of that time were carried out by General Władysław Anders). After the resignation of Prime Minister Mikołajczyk in November 1944, he was replaced by Tomasz Arciszewski. During the war, the Polish state did not just exist in exile. Its secret structures, subordinate to the Polish Government-in-exile, also functioned in the territories occupied by Germany and the USSR. The Polish Underground State (the term was first used in the underground press in January 1944) operated from September 1939 (the creation of the Service for the Victory of Poland) until July 1945 (the self-dissolution of the Council of National Unity and the Government Delegation to the Country). © Tomasz Gzell (PAP). warsaw, Poland, FeBruary 26, 2015. an exhiBition oF unPuBlished aerial PHotograPHs of WarsaW at tHe JabłkoWski brotHers dePartment store. 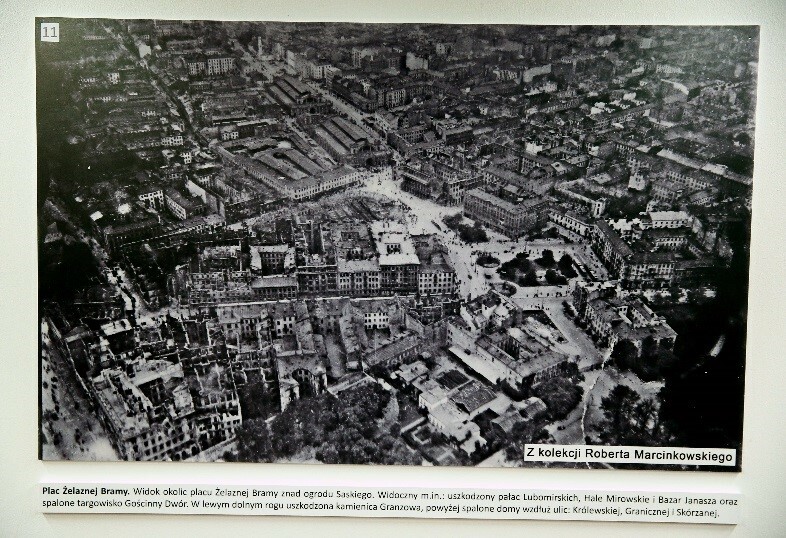 the Photos were taken By the luFtwaFFe on sePtemBer 20, 1939. The underground state developed thanks to the broad support of loyal Polish citizens and the agreement of the most important political parties, which had been in the political opposition until the start of the war. These included the Polish Socialist Party, Peasant Party and National Party; these were represented in the Main Political Council, part of the Service for Poland’s Victory. The organization evolved and changed names numerous times between October 1939 and July 1945: the Main National Defense Council, the Political Coordination Committee of the Government Delegation to the Country, the National Political Representation, and finally, the Council of National Unity. The Government Delegate for Poland governed the underground civil administration in the country (in the rank of deputy prime minister from May 1944) on behalf of the authorities in London. By the end of the occupation, the administration consisted of more than a dozen departments. 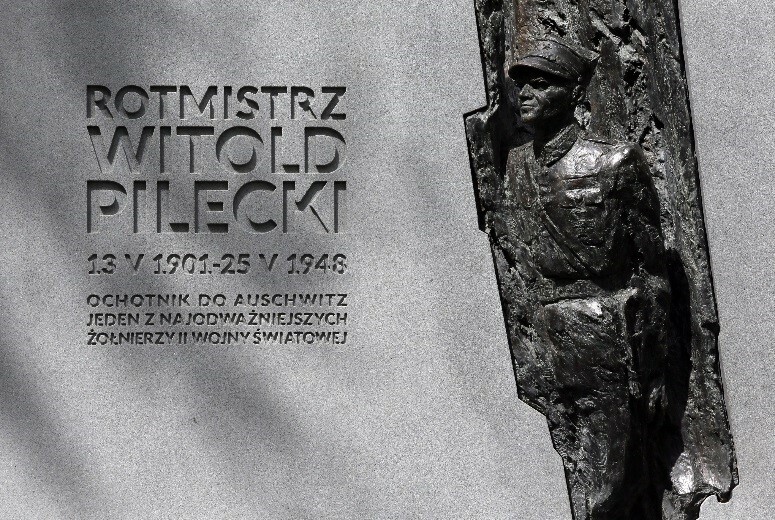 The most important tasks of the Polish Underground State were: expanding the struggle for independence and sovereignty of the country and for its defense after the war, maintaining continuity of state institutions, supporting the care of especially persecuted fellow citizens (including Jews), organizing underground teaching – especially secondary and higher education prohibited by the Germans, ensuring the undisturbed seizure of power after the end of hostilities and preparing political and economic reforms in a democratic spirit. During the occupation, the emissaries of the Polish Underground State informed the Polish government in London about German genocide against the Jews – both Polish and foreign citizens brought to the territories of occupied Poland. 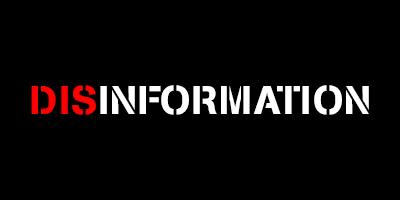 This information was provided by the Polish government to the governments of allied powers. As early June 1942, Prime Minister Sikorski, in a radio address broadcast by the BBC, presented the situation of the Jewish population in occupied Poland and asked the Allies to bring the Germans to account for the crimes they had committed. In December 1942, the Polish ambassador in London, Edward Raczyński, gave the governments of the signatory states of the Declaration of The United Nations an official diplomatic note from the Government of Poland. In response, these governments announced a joint declaration in London, Washington and Moscow condemning German crimes. Legendary courier from Warsaw and emissary of the Polish Underground State Jan Karski even met with President Franklin Delano Roosevelt in July 1943. Poland’s dramatic appeals to exert real pressure on the criminals (e.g. the threat of retaliatory bombings) remained unanswered. © Tomasz Gzell (PAP). warsaw, Poland, may 10, 2017. a monument to caPtain witold Pilecki on Polish army avenue in WarsaW’s Żoliborz distriCt. The penalty for assisting Jews in occupied Poland was death. The Governor-General of occupied Poland Hans Frank issued the regulation on October 15, 1941. Nevertheless, there were many courageous people who decided to help the persecuted. Though more than 6,700 Poles have been honored as Righteous Among the Nations since 1963, this does not reflect the scale of the aid. 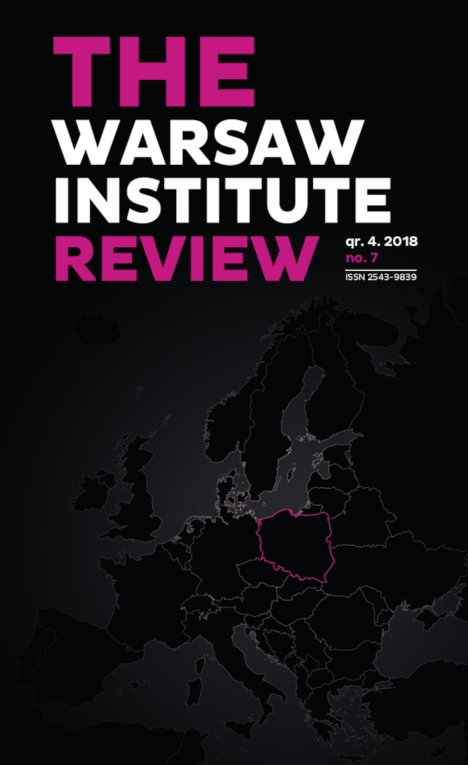 The current estimates of Polish historians (Teresa Prekerowa and Władysław Bartoszewski) indicate that most probably it was about 300,000 Poles who helped. Some of them suffered a cruel death, often together with their families. One such shocking case is the fate of the Ulma family, who on March 24, 1944, were murdered by German police posted in Łańcut. 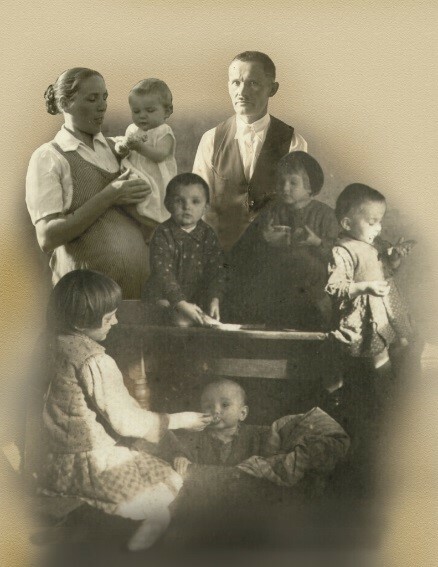 In addition to the eight Jews from the Didner, Goldman and Grunfeld families whom they had hidden, the Germans shot Józef Ulma, his wife Wiktoria (nine months pregnant) and six children: Stanisława (8 years old), Barbara (6), Władysław (5), Franciszek (4), Antoni (3) and Maria (1). the ulma Family, the museum oF Poles savinG Jews in world war ii in markowa. 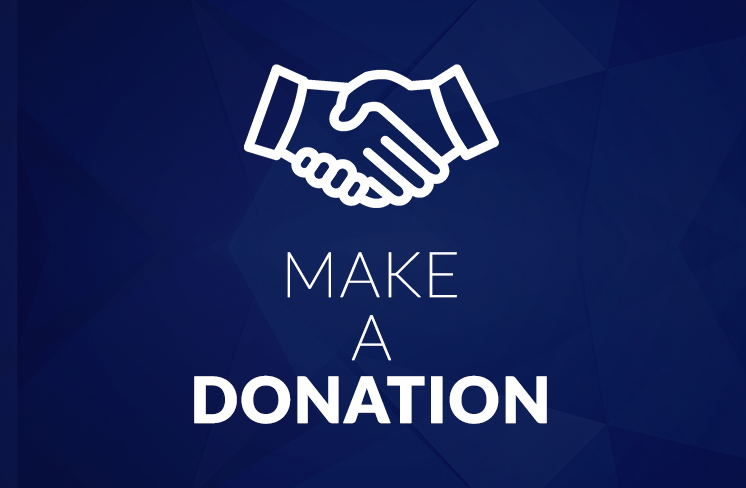 Private civic initiatives also led to the institutionalization of assistance actions. On September 27, 1942, Zofia Kossak-Szczucka and Wanda Krahelska-Filipowicz founded the “Konrad Żegota” Temporary Committee for Assistance to Jews. On December 4, 1942, this committee was transformed into the Council for Aid to Jews – Żegota. The main centers of the Council subordinate to the Polish Government-in-exile, were located in Warsaw, Kraków and Lviv. Żegota’s activity consisted in organizing help in the form of food, medicine and clothes as well as searching for safe hiding places and providing “Aryan” documents. Around 4,000 Jews in hiding received material support from Żegota, and about 50,000 false documents were furnished. The Catholic Church in Poland gave invaluable assistance in issuing fictitious birth certificates and sheltering many Jews in its monasteries. It is also worth mentioning the efforts of Irena Sendler, who directed the children’s section of Żegota in Warsaw (in 1965 she was honored with the Righteous Among the Nations medal, in 1983 she planted a tree in the Forest of the Righteous, and in 1991 she received honorary Israeli citizenship), where she managed save over 2,000 Jewish children led out of the Warsaw Ghetto. Most of them were placed in Polish families. Several hundred were saved thanks to the help of Sister Matylda Getter, the mother provincial of the Franciscan Sisters of the Family of Mary in Warsaw (Congregatio Sororum Franciscalium Familiae Mariae) – these children survived the war in orphanages and monasteries belonging to the congregation, among others in Anin, Białołęka, Chotomów, Płudy and in Warsaw itself. About two-hundred other children were sent to the Father Boduena Home, an orphanage of the Municipal Welfare Department in Warsaw, and about one-hundred teenagers ended up in the underground resistance.